Denis Villeneuve’s Arrival hit theaters with high expectations after two of the director’s earlier, critically acclaimed works – the drug-war thriller Sicario and the abduction drama Prisoners – made him one of Hollywood’s most intriguing up-and-coming filmmakers. Fans and critics alike wondered how his vision would translate not just to the science-fiction genre, but to a subset of the genre that’s prone to countless, tired tropes and campy fare: alien-invasion movies. The result was unlike anything audiences expected. Villeneueve layered a complex, compelling exploration of the ways we communicate with each other and the ripple-effect of the choices we make throughout our lives over a story that remained – at its core – a movie about humanity’s first contact with an alien species. 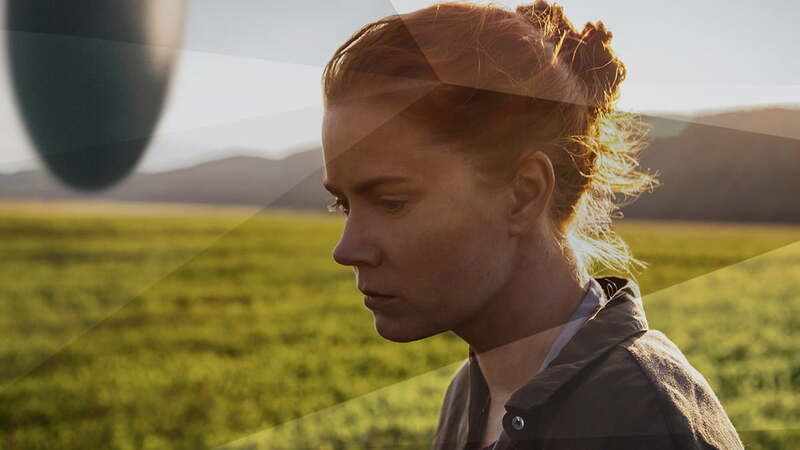 From the film’s initial, heart-wrenching sequence to its ultimate conclusion, Arrival is propelled by a powerful performance from star Amy Adams, who portrays a linguist determined to find common language with an alien species that perceives consciousness far differently than we do. A smart, efficient script allows the characters to not just introduce the complicated concepts the film deals with, but present them in a way that feels organic to the story and comprehensible to a general audience. That is no small feat, given the academic and philosophical nature of the subject matter. Villeneuve doesn’t talk down to his audience in Arrival, and instead offers up a film that mines fresh, fascinating ideas from its distinctly familiar subject matter. More than any other major release this year, Arrival takes risks with the conventions of its genre, its audience’s expectations, and the very process of cinematic storytelling. Its narrative format plays as integral a role in telling the story as what plays out on the screen with the film’s human and alien characters, and does so in a way that rarely feels gimmicky or poorly envisioned. Possibly the film’s greatest achievement, however, is the conversation it fosters long after audiences leave the theater. Great movies are often judged as much for the stories they tell as the way they tell them, and Arrival delivers an impressively fresh, exciting, and truly memorable experience on both fronts. A blend of Eastern and Western sagas, Kubo and the Two Strings proves there’s a lot of life left in stop-motion animation with a story that’s brilliantly crafted and marvelously told. It’s one thing to tell a great story in stop-motion, but it’s something else entirely – and utterly rare – to use the art to launch an emotionally charged epic that stands tall among the biggest players in animation. At a time when digital animation has become the standard, Kubo proves that a great story is that much better when there’s as much heart in the way it’s told as there is in the tale itself. “R”-rated comic book movies are nothing new, but Deadpool made a well-worn genre feel new and surprising again on its way to becoming one of the year’s biggest blockbusters. The ripple effect of the film’s success is already being felt across Hollywood – and not just in superhero movies – and will likely be felt for years to come. There’s never been a film quite like Deadpool, and there’s a very real possibility that there never will be again – and that’s a good thing.